Wrap yourself in comfort at our bed and breakfast near Harvard University. Irving House offers a boutique hotel experience with complimentary breakfast, free parking, and more. Our on-campus accommodations are marked by a dedicated green initiative that aims to make your stay as environmentally conscious as possible. 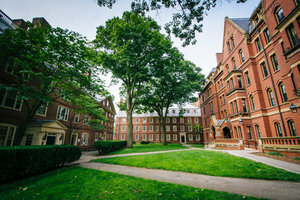 For those in the area to visit Harvard, we offer one of the most convenient accommodation options, just walking distance from the illustrious campus. Our bed and breakfast near Harvard is just 0.1 mile from the center of the campus. We are ideally located right on Irving Street, just moments from Harvard Square, Fitzgerald Theatre, War Memorial Recreation Center, Olivia I. Abelson Square, Science Center, and so much more. From our property, you will find yourself in the center of the campus in just 1-3 minutes. Explore the campus by day and rest your head at night at Irving House, where a warm welcome always awaits you. 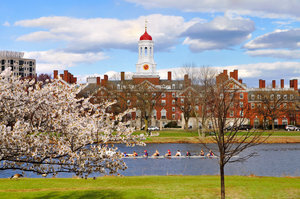 There are lots of things to see and do on Harvard University’s campus. To ensure that you don’t miss any of the best ones nearby, consult our list below for some of our favorite destinations within a 10-minute walk. Plus, easily visit the rest of the campus’ fantastic museums and theatres with ease from our bed and breakfast near Harvard University. Our friendly staff is always thrilled to provide directions and recommendations for Harvard campus and beyond!